With the return of the Disneyland Railroad on Saturday, July 29, guests will once again embark on the classic grand circle tour of Walt Disney’s original Magic Kingdom. Earlier this week, we looked back at the history of the Rivers of America, also reopening July 29, so today let’s take a look at the Disneyland Railroad through its more than 60 years of travel. 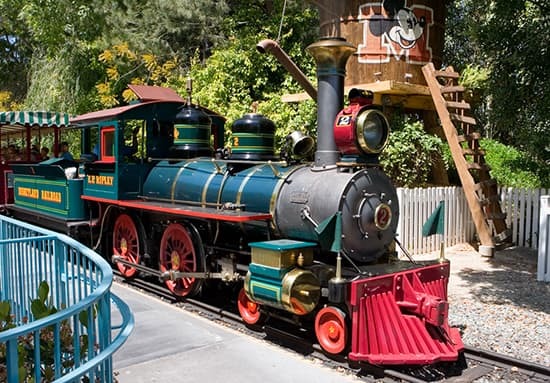 The Disneyland Railroad was one of our opening-day attractions on July 17, 1955, with two steam engines in operation. Engine No. 1 – C.K. Holliday – was named for Cyrus Kurtz Holliday, founder of the Atchison & Topeka Railroad (later the Santa Fe Railroad, established in 1859). 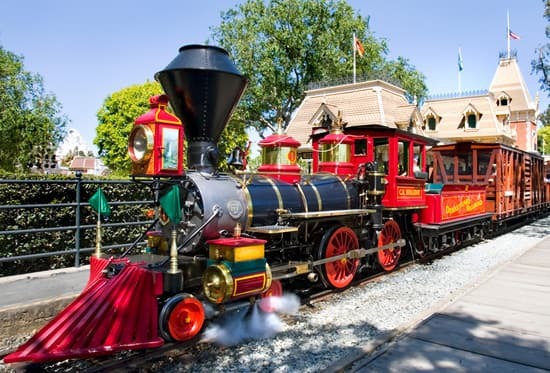 The locomotive was built by WED Enterprises (now Walt Disney Imagineering) in Burbank, Calif., from a design inspired by Walt Disney’s model train engine, the Lilly Belle – centerpiece of his backyard railroad, the Carolwood Pacific. C.K.’s fellow opening-day steam engine, No. 2 – E.P. Ripley – was named for Edward Payson Ripley, who was the first president of the Atchison, Topeka & Santa Fe Railroad, and was also built by WED Enterprises. 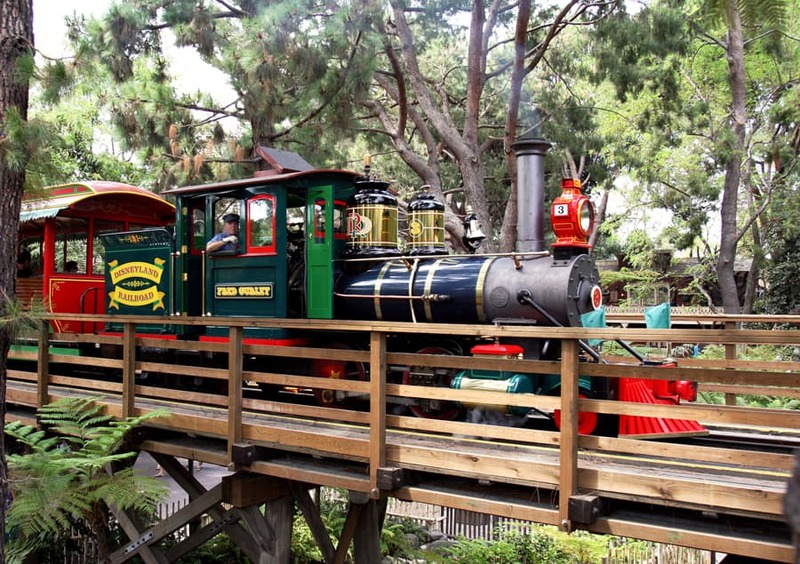 In 1958, the Disneyland Railroad expanded with its third – and in fact, oldest – steam engine. Engine No. 3 – Fred Gurley – was named after Fred G. Gurley, who was president of the Santa Fe Railway from 1944-1957. It is the oldest steam engine operating on the Disneyland Railroad, built by Baldwin Locomotive Works in Philadelphia, Penn., in 1894. It was first put into service in August 1895, and began circling the Happiest Place on Earth on March 28, 1958. Engine No. 4 – Ernest S. Marsh – was added the following year, on July 25, 1959, and was named for Ernest S. Marsh – who was the president of Santa Fe Railroad at the time. It was built in 1925 by Baldwin Locomotive Works in Philadelphia, Penn. – the same company that built its fellow Disneyland Railroad engine, the Fred Gurley. 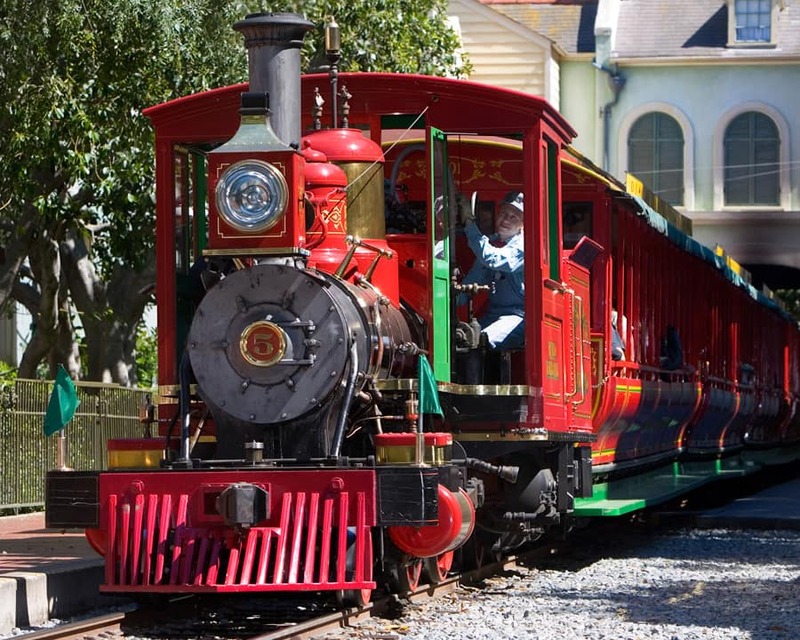 Nearly 50 years would pass before the fifth steam engine would join the Disneyland Railroad. Engine No. 5 – Ward Kimball – is unique among its fellow steam engines, as it was named not for an icon of the railroad, but for an icon of the Walt Disney Company. Ward Kimball was a Disney animator and one of Walt Disney’s “Nine Old Men”; among his many achievements was the creation of Jiminy Cricket. He was named a Disney Legend in 1989. Ward was a railroad enthusiast, whose passion for the hobby inspired Walt’s own love of trains and railroading. The Ward Kimball was put into service on the Disneyland Railroad on June 25, 2005, and dedicated on February 15, 2006, as part of the celebration of the 50th anniversary of Disneyland. The Disneyland Railroad reopening this week will bring new and enhanced adventures to this classic experience. For the very first time, the Disneyland Railroad will make a left-hand turn as it circles Disneyland park, and Walt Disney’s legendary dioramas of the Grand Canyon and Primeval World have been carefully restored to their original splendor, with a bit of new magic added to both! 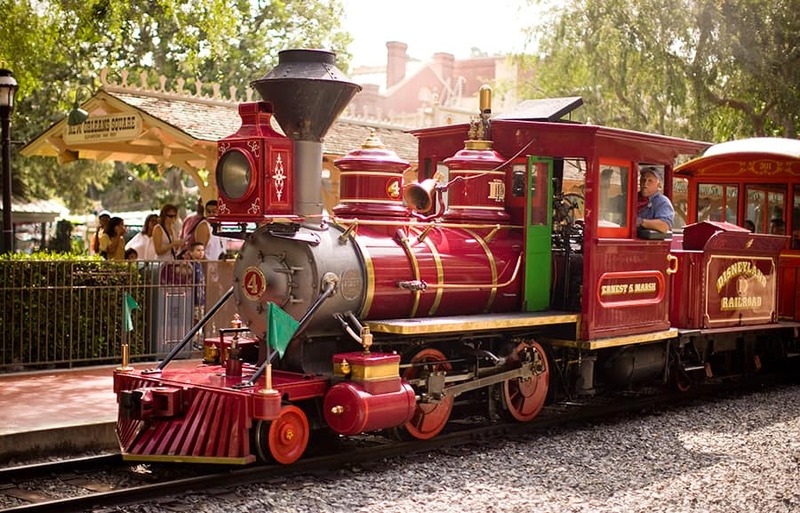 Locomotives aren’t assigned to specific trains, so any engine might be seen hauling the Lilly Belle on any given day. The Ward Kimball was originally named “Maud L” when she was built by Baldwin in 1902–that was the name of the plantation owner’s young daughter and a tradition on Louisiana plantations. The Disneyland Railroad actually did make a “left-hand turn” on the main line for many years, as any examination of early aerial photos of the park will show. We recently saw the F.P. Holiday at Fullerton’s Railroad Days a couple of months ago – and my girlfriend got to blow the whistle! (That sound has been missed at the park!) Can’t wait to ride the rails next weekend! Also, fun fact regarding the Ward Kimball – when we asked the attending CM if the F.P. Holiday was the one assigned to pull the Lilly Belle, she said that the train that normally has those duties was Engine 5. 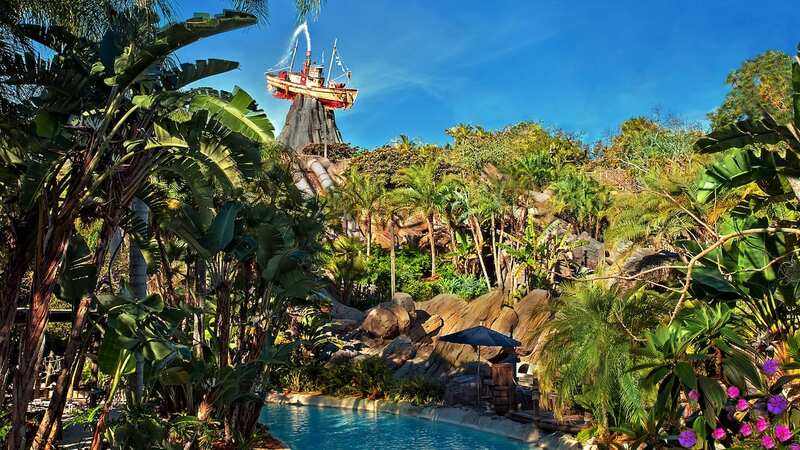 Ward Kimball was originally built by Baldwin in 1902 for the Laurel Valley Plantation in Louisiana. The engine became property of Cedar Point amusement park in Sandusky, Ohio, and named Maud L. Disneyland got the engine in a trade in 1999 and it was restored by Boschan Boiler and Restorations in 2004. Steam Passage Publications has a book dedicated to the history of Ward Kimball. I’m more excited for the return of the Disneyland Railroad than I have been for any other recently renovated attraction I can think of! When and where was Ward Kimball built? That information is supplied for all the other engines. No mention of the Lilly Belle, will she be returning as well? We just returned from Disneyland and the Disneyland Railroad was being tested. It was great to see the trains operating again, even if it was only a test run. Hopefully, we can actually ride the railroad on our next visit, it’s always a fun time!